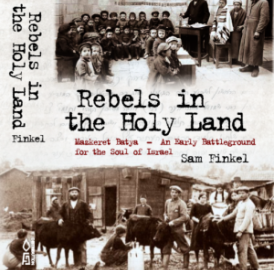 Description : When a determined band of Russian Jewish farmers arrived in Palestine in 1882, they knew the world would be watching: In one of Baron Edmond de Rothschild's most daring experiments, their task was to build a Jewish agricultural colony to serve as a model for future refugees fleeing persecution. But this is no typical story of pioneering; it is one of monumental idealism in the face of duplicity and cynical betrayal. The farmers' simple wish to observe the Sabbatical year of 1889-1890 – despite their patron's opposition – thrust them into the swirling epicenter of worldwide controversy. Reviled by the Baron's administrators, vilified in the press, ridiculed and nearly abandoned even by some of their religious countrymen, they stood firm. Their fight for what later became Mazkeret Batya sheds dazzling historical light on some of the very issues facing Israel today. Richly illustrated with maps and vintage photography, this riveting account takes the reader on a journey of remarkable courage and self-sacrifice – a journey history has forgotten. Pumerantz – Book store, Beri 5, Jerusalem.